Are Real Estate Taxes Paid Back In A Bankruptcy? Well, it depends on what your intentions are regarding the underlying property (which in the case of real estate taxes is of course the house you live in or use as rental property). If you choose to keep the property, then yes, you will have to make good on any real estate taxes you may have fallen behind on, and any future taxes associated with the property. But if your choice is to surrender the property, then no, you will not be held responsible for the taxes (because the taxes are said to ‘follow the house’). There is also a difference in how real estate taxes are handled based on which chapter you file. If a St. Louis Chapter 7 bankruptcy is filed, and you want to keep the property, any real estate taxes will need to be paid to the county fairly soon after the petition is filed with the court. Unless of course you surrender the home, in which case you will not be held responsible for the taxes. If a St. Louis Chapter 13 bankruptcy is filed, and you want to keep the property, then any arrearage will paid off inside the Chapter 13 plan. This spreads the payments out over a period of three to five years. In this way, the tax debt becomes less of a burden, as it gives you a chance to get caught up over a much more reasonable time frame. And as was mentioned before, if you choose to surrender, then the taxes will follow the house and you will not have to pay them. Understanding your options in regards to tax debt and how such a debt is handled in a bankruptcy is crucial to making the right decision. 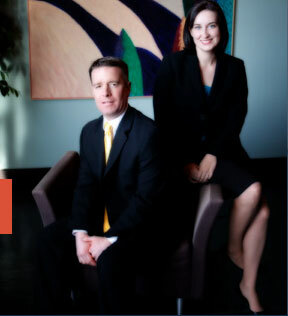 The St. Louis bankruptcy attorneys at Brinkman & Alter, LLC have the necessary experience and knowledge in this area, and are prepared to help guide you towards financial recover.